President Donald Trump on Wednesday blasted the U.S. court system as "broken and unfair" after a federal judge blocked his move to end the program protecting young immigrants brought to the United States illegally by their parents, commonly known as "Dreamers." 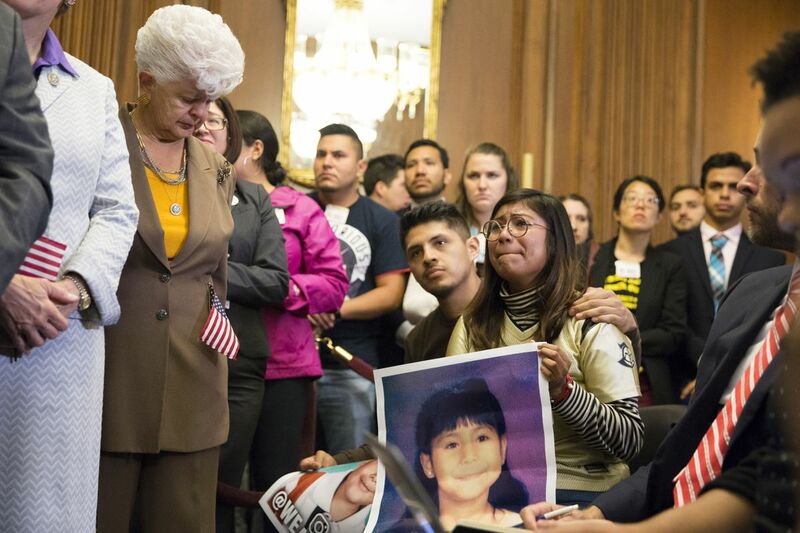 The Trump administration in September announced it would rescind the Deferred Action for Childhood Arrivals (DACA) program, drawing challenges in multiple federal courts from Democratic state attorneys general, organizations and individuals. Late on Tuesday, U.S. District Judge William Alsup in San Francisco ruled that DACA must remain in place while the litigation is resolved. In a post on Twitter on Wednesday morning, Trump wrote, "It just shows everyone how broken and unfair our Court System is when the opposing side in a case (such as DACA) always runs to the 9th Circuit and almost always wins before being reversed by higher courts." It was not immediately clear which court Trump was referring to in his post. Alsup's court is the District Court for the Northern District of California. Appeals of decisions by that court are commonly handled by the 9th U.S. Circuit Court of Appeals, which also reviews appeals of rulings by district courts in the U.S. West, Hawaii and Guam. Earlier on Wednesday the White House branded the federal judge's ruling as "outrageous." "An issue of this magnitude must go through the normal legislative process," White House spokeswoman Sarah Sanders said in a statement. "President Trump is committed to the rule of law, and will work with members of both parties to reach a permanent solution that corrects the unconstitutional actions taken by the last administration." The ruling could complicate negotiations between Trump and congressional leaders over immigration reform. Sanders called the decision "outrageous, especially in light of the President's successful bipartisan meeting with House and Senate members at the White House" on immigration reform on Tuesday.